Now after five years of running workshops in Northern Canada, we are able take a small group of photographers to focus on the wildlife as well. 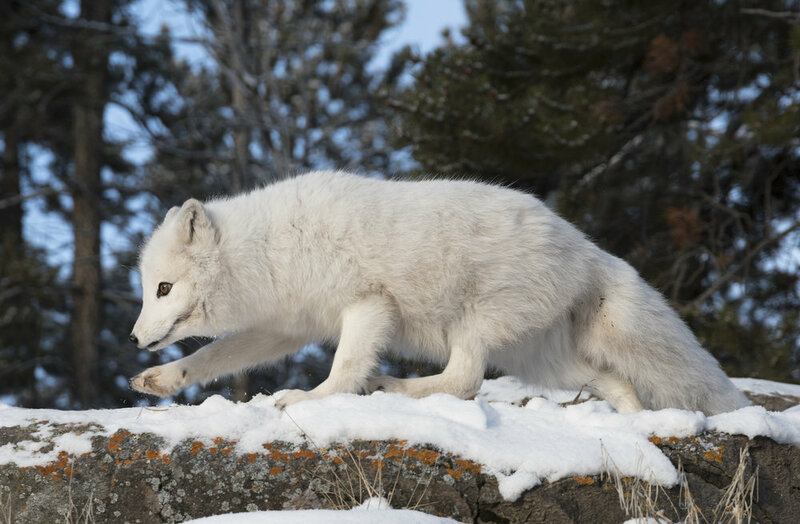 Our target species are Canada lynx, red fox, silver fox, Arctic fox, muskox, dall sheep, mountain goats, caribou, woodland bison, elk, moose, and mule deer. This is the perfect workshop for someone that wants to focus on capturing once in a lifetime wildlife images as well as aurora images—over some of the most majestic landscapes Canada has to offer. Our wildlife photo shoots are custom tailored private photo shoots up close and personal with some of the most desirable animal species in Canada. We have exclusive access to get close to many of these animals at the Yukon Wildlife Preserve. Because this group is small it will also allow us to be flexible and photograph these animals in an intimate setting with backdrops of mountains and forests. We will have beautiful backdrops of forests, streams, lakes, and mountains for our aurora hunting. Come join Muench Workshops pro Kevin Pepper and photograph in Canada's Yukon—a larger than life experience! But do expect long nights! February 9, 2019: Arrive Whitehorse (YXY airport code) anytime this day. For those that arrive on the 3:00 PM flight, we will meet you at the airport and the group will go for dinner at a local area restaurant. If the northern lights forecast is favorable, and the cloud forecast is good, you will have the opportunity to join us on a night of aurora hunting. We will be staying at the Westmark in Whitehorse. February 10, 2019: Today we will be departing at noon and driving from Whitehorse to Dawson. There will be frequent stops along the way for photography. Early dinner and, weather permitting, a great sunset. We'll be in search of the northern lights as we drive through the remote areas of Yukon on our way to Dawson City! We will be staying at the Aurora Inn in Dawson City. 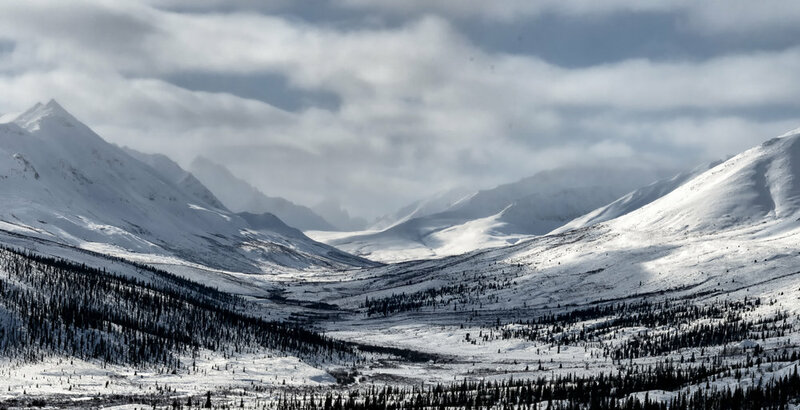 February 10–13, 2019: More winter landscapes and aurora up near the Arctic circle in Tombstone Territorial Park and around Dawson City. At night we will return to the winter dreamland under the cover of stars, waiting for the skies to come alive with what the Eskimos who lived here believed to be the dance of animal spirits—especially those of deer, seals, salmon, and beluga. There is a separate area where we will gather and edit images and have an image critique of our images. Available each night will be a heated wall tent with coffee and hot chocolate and snacks down by the river for aurora. February 13, 2019: Depending on how late we were out the night before, we wake and photograph the century old town. Many of the buildings remain as they were at the time gold miners called Dawson home. Our drive back to Whitehorse will include some stops for photography into the blue hour. As our drive continues, we will be perfectly positioned to watch the night skies for aurora. We will arrive in Whitehorse in the evening and check into our hotel. February 14, 2019: This morning we will have a leisurely breakfast and conduct a scheduled image critique and editing session after breakfast for a few hours. In the morning we will head out to the back roads and streams just north west of Whitehorse and photograph the landscape scenes on our way up to introduce you to our snowmobile guides for an afternoon of carving the powder and taking photos. You will be taken on a guided snowmobile photo tour of the Ibex Mountain area to photograph some of the mountain and alpine winter landscapes. When you return from your afternoon snowmobile ride through the fir tree forest and mountain vistas over Fish Lake, a warm yurt and blazing fire will await you as our chefs will cook you a home cooked meal. 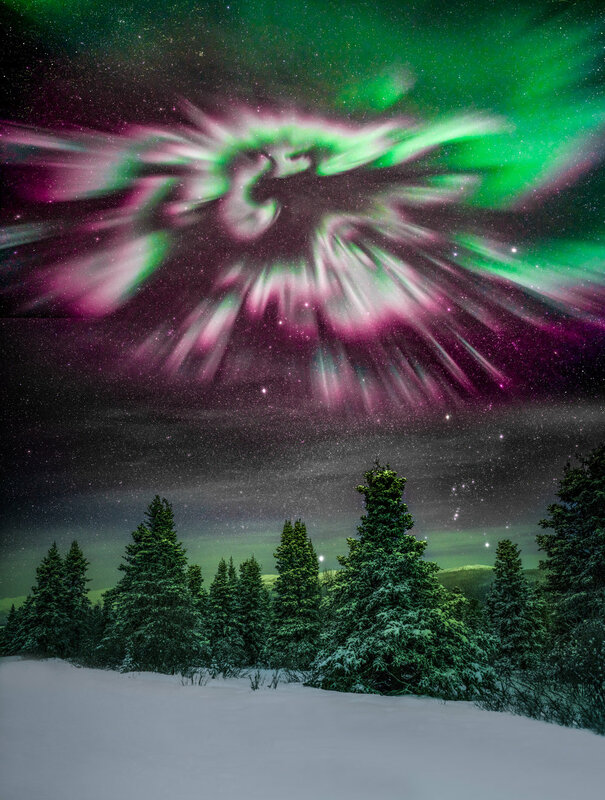 If the skies cooperate, we will once again be out to photograph the northern lights in Southern Yukon. We will return late to our hotel in Whitehorse. February 15, 2019: Today we want to introduce you to the many mammals that call Yukon home. Today is a photo session with some of the most exotic wildlife in North America. We will spend the day photographing these amazing creatures in an intimate and safe setting. 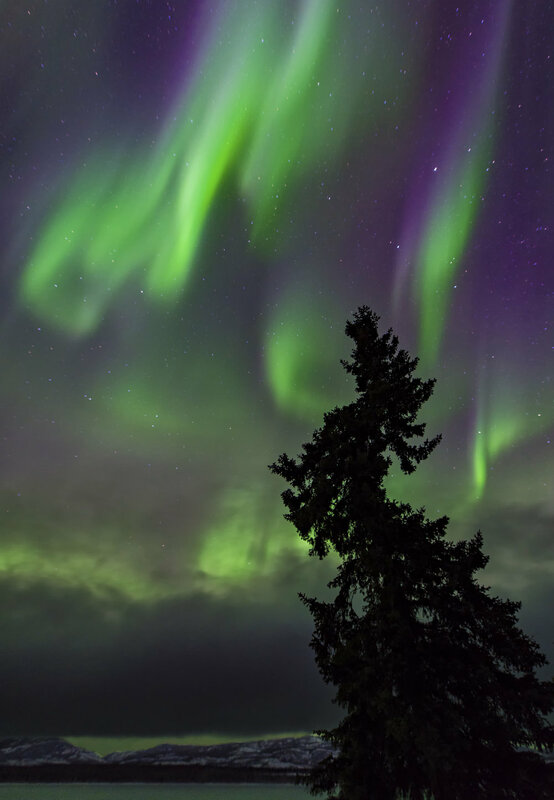 If the skies cooperate, we will once again be out to photograph the northern lights in Southern Yukon. We will return late to our hotel in Whitehorse. February 16, 2019: If we had a good nights sleep, we will be heading north today to photograph the sunrise around the frozen marshes and lakes in the Fox lake area. From here we will head back to Sky High Wilderness Ranch for a warm lunch. After lunch we will spend the rest of the day with the dogs. 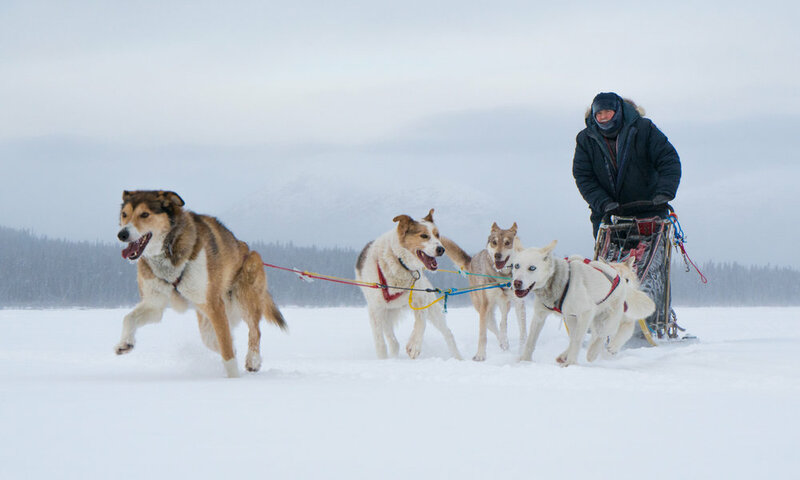 Everyone will each get the opportunity to drive their own dogsled team around Fish lake. 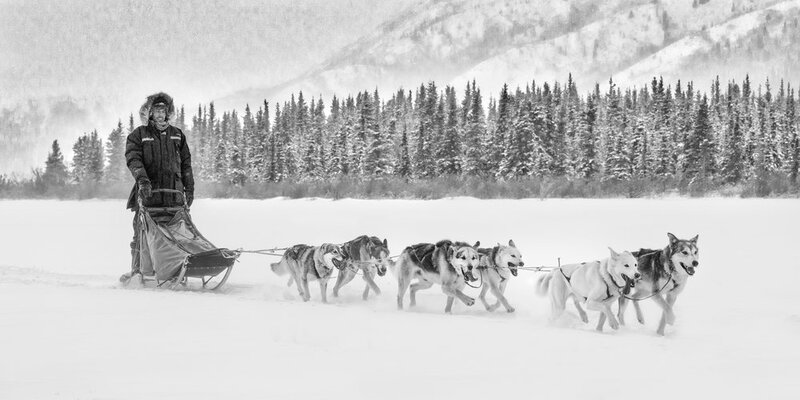 After which we have set up a special photo session with the professional sled dog mushers on frozen Fish Lake. We will be able to photograph the dog teams in front of mountains and cedar forests. They will even run right past us so you can photograph them up close and personal in full stride. After our day with the dogs we will be treated to a final home-cooked dinner in our remote mountain setting, so we are positioned in a great area to photograph northern lights in the mountains around Whitehorse. With good weather, we'll be out late and creating amazing images on our last night under the aurora. February 17, 2019: After breakfast we'll say goodbye and today you can fly home anytime. Air transportation from your home to and from Whitehorse, Yukon Territory. Alcoholic beverages. Items of a personal nature. Medical Evacuation Insurance (required). Travel Medical and Trip Cancellation Insurance (optional, but recommended). Anything not listed as included. Your deposit of $2,500 USD will hold your space. Balance of $2,995 USD is due not later than October 1, 2018. All of our standard terms and conditions apply. Need special payment arrangements for your deposit? No problem, just ask us. Our Yukon workshops have been very popular, and always sell out. Space is limited, so if this photo workshop has your name on it, click the "Sign Me Up!" button and we’ll see you in The Yukon! Got questions?